Sylvia Browne was a fake, a con-artist, she has made many millions by playing on human weakness, getting prior knowledge for tv appearances, and doing cold reading for expensive telephone readings. Death is too good for this woman, what a shame her shame was not exposed better within her life time, what a shame she didn't have to do a real job instead tricking those who are very sad at a loss of a close loved one. My message to Sylvia Browne's fans, move on with your life, don't make that fraud out to be a saint on earth, a holy woman, a great gifted soul who was a prophet, screw that, look past your little religious thinking into a fact based reality, where you are not encouraged to accept hearsay as evidence. My message to haters of Sylvia Browne, time to move on, be critics, not haters, expose other charlatans by what you have learned, and do not let these sick people bring you down, one battle is over and yet the war on conmen is far from over. A few thoughts for those who believe in tv psychics and tv mediums, every time we find trickery at work, every moment we glimpse where the mask slips, every error on the part of these people, we see evidence that they are not honest beings practising a greater truth or power, from this even you cannot assume they are as genuine as you may wish to believe. 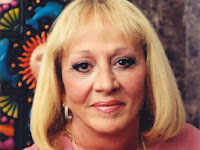 Sylvia Browne's books will continue to gain her org more money, there are other psychics in her org, and the cult of Sylvia is surviving her death, but for how much longer I do not know. Some reports on Sylvia Browne Suggest that something like 200 million was made by Sylvia Browne over the last three decades, most of this since she was regularly on the Montel Williams Show, she got a profile that flew her high enough to shift vast numbers of books, tickets to shows, CDs & DVDs, as well as her expensive telephone readings.